Do you want to feel bass so intense, it should be on the Richter scale? Do you want to make your car flex so strong that you'll fear your windshield will crack? I know you do, that's why you're reading this. 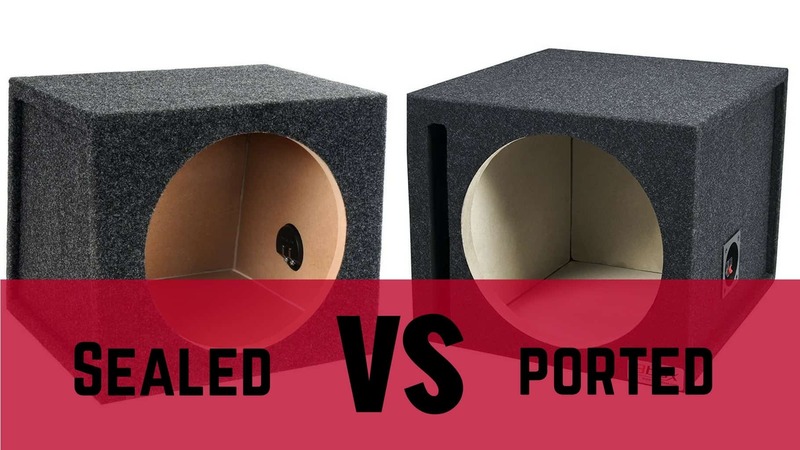 You want to know which ones are the best competition subwoofers. Keep reading, you've found what you were looking for. We've reviewed them one by one to let you know which one is the best competition sub. The Badass Seven: Final conclusions. ​Now, we present the top competition subwoofer reviews of 2019. All the subs we included on our list have an awesome RMS power rating, and they produce a clean and crisp sound. They will enhance your car’s audio system and improve your driving experience. This model of the Power Acoustik MOFO is the best in terms of affordability. There is hope, and that hope is a bad MOFO. 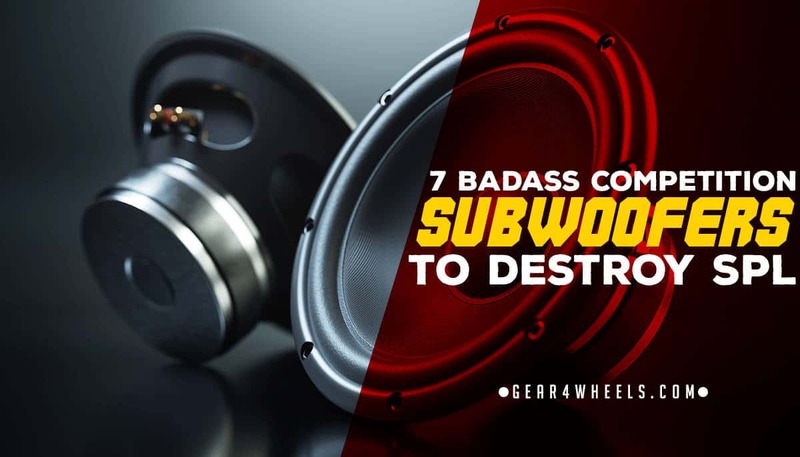 With an RMS of 1,700 Watts and peak power of 3,000 Watts, this sub can produce sound rivaling that of the more expensive options on this list. A sensitivity level of 87 dB gives it a hefty push, in terms of sound output capabilities. Another outstanding feature on this MOFO model is the aluminum reinforcement fins and aluminum dust cap, which make for better sound quality. This sub comes complete with a high-quality aluminum 2.5-inch, 4-layer, dual voice coils and a patent pending heatsink for top-notch heat dissipation. This sub has some of the most sophisticated components, all for an outrageously low price. This competition sub is available on either 2-ohm or 4-ohm impedances, so, as with many of the others on our list, you have options for how you want to wire it. You can even go as low as 0.5 to 1 ohms to wire it, so you won’t have to buy an expensive amp to power it. This last entry is the most realistic price-wise and definitely will not disappoint in its performance. With its outstanding SPL and solid SQ, this MOFO model has all the power and clarity of a sub that would cost at least twice as much. Some other features that make this competition sub the high-quality, high-powered monster it is are its nickel-plated compression wire terminals and its dual-stacked 340 oz. strontium ferrite magnets. Considering all the top-notch components included in this sub, it comes at an insanely low price. This 12-inch Skar Audio model is perfect for bass enthusiasts rolling on a budget. This competition subwoofer is perfect for those who want to get the most bang, or bass, for their buck—and don’t have many bucks to spare. It will deliver the bass you so crave at a fraction of the price. This one may not be the loudest on our list, but with its outstanding durability, it will still be blasting you away for years to come. With an RMS 1,500 and peak power of 3,000 Watts, you won’t be complaining about its lack of power when it’s shaking every fiber of your being, and a sensitivity level of 84 dB certainly doesn’t hurt in amplifying that sound. The Skar Audio ZVX-12v2 comes complete with 3-inch, high temperature voice coils for maximum heat dissipation. For the impedance, this sub has a dual 1-ohm voice coil configuration, so you have options for wiring this system. This is a competition sub that will give you everything you want out of a sub of this grade without it feeling like a guilty purchase. It’s certainly one of the more affordable on our list, and, considering the quality of this one, it comes at a fantastic price. Aside from the specs previously mentioned, some other features include a massive triple slug magnet, a high roll foam surround, a poly-cotton spider and a competition grade paper cone. This one will fulfill all of your desires without depleting your life’s savings. The Orion HCCA 124 is a 12-incher that packs a massive audio-punch. It has some of the same features as the other Orion model on this list, such as the polypropylene cone woofer, the dual voice coils, the rubber tri-radius symmetrical surround and the dual flat conex spiders—but all for an even cheaper price. With crazy power handling and top-notch voice coils, the competition sub has everything you need at an affordable price. The Orion HCCA 124 rivals the NSV3 in SPL, with 2,500 Watt RMS and 5,000 Watts at peak power, making it even louder than the 15-inch Orion model previously featured. That being said it’s another power-hungry beast that requires a little more accommodation. But the money you save on the sub itself can be put to these electrical system upgrades. This model comes with the enhanced voice coil cooling system. Again, the dual black voice coils are some of the most sophisticated on the market and ensure that all the power required to run this bad boy won’t fry the whole system. The Orion HCCA 124 has dual 4-ohm coils for a total impedance of 8 ohms. The duality allows for a couple options in terms of wiring. You can wire it as either a 2-ohm or 8-ohm load. If you want something with outstanding loudness for a price that won’t break the bank, this Orion model is exactly what you need. The downside is you need a powerful amp to make this baby give you the bass you so crave. With the right accommodations though, the Orion HCCA 124 will not disappoint, and all the components are high quality, so this subwoofer is built to last. If you remember our review of the best ﻿15 inch subwoofers of the year, this was our top pick. The NS-15 V.3 (NSV3) is made of the highest quality materials and comes from a renowned brand. Also, for all you red-blooded Americans out there, these subs are produced and manufactured only in the good ole U.S.A.—not to mention the fact that each one is handcrafted. Talk about quality. The outstanding quality does come at a hefty price, but if you’re looking for high-class, durable subs that will last for years to come, it doesn’t get much better than the NSV3. Like the Orion, the NSV3 is another power-hungry sub. The SPL is off the charts, with higher RMS at 2,500 Watts than the Orion model. With a sensitivity level of 84.27, it has excellent amplification abilities. Again, like the Orion model, you will have to upgrade your electrical system to accommodate this beast. Having all that power runs the risk of overheating. Fortunately, the NSV3 has a heavily vented, 4-layer, 3-inch aluminum voice coil to prevent that from happening. With this outstanding feature, you can blast that bass all you want and not worry about ruining your sub. Once again like the Orion, the NSV3 has dual 2-ohm coils, so you can wire it at either 4 or 1 ohms. Take into account that this choice impacts whether or not you need a more expensive amp to power it. The NSV3 is not for those with a light wallet. No way around it, this one is expensive, but when you consider its superior, handcrafted quality, that price tag makes sense. If you want something with similar features, and less than half the price, then the Orion model is the way to go. If you want the best of the best in the market, then the NSV3 is it. Just remember, the best is never cheap. The name says it all. Blasting your music through this bad boy will have grannies shaking their fists at you, screaming, “Turn that racket down, you hooligan!” For real, it’s loud. This 66-pound SPL competition subwoofer packs a huge audio-punch. If you’re in it for sound and have a pretty penny to spend, the Hooligan is for you. This subwoofer is definitely the loudest on our list, but it is a bit on the pricey side, especially for a 12” sub. But, hey, big sound calls for big bucks. At a whopping 4,000 Watts RMS, this sub will become the bane of your entire neighborhood. With a peak power of 6,000 Watts—yeah, you definitely won’t be able to borrow any sugar from the neighbors. With 92db @1watt, the loudness of this beast when powered 6000watts is 100% deafening. Producing that much power can cause overheating. But don’t worry. The voice coils on this monster are top-notch—4-inch black aluminum with 4 layers for exceptional heat dissipation. The Hooligan has the power and the durability to have you feeling your bass for years to come. For the configuration freedom, the Hooligan comes in DVC 2-ohm of impedance. This means either 1ohm or 4 ohms wiring. The Hooligan has power and the durability to match. This subwoofer packs tremendous sound, more than most 15-inch subs on the market. But, again, all that power does come at a pretty hefty price. If you have a bigger budget and want a sub that produces the loudest sound, the Hooligan is perfect. If not, well, at least this is only the first of seven on our list. Here’s a powerful subwoofer that won’t break the bank. With the more affordable Orion HCCA 152, you will not have to compromise power for sound quality. This 15-inch, 82-pound monster is everything you want out of a sub and worth every penny. It has double the SPL than the JL Audio model and is significantly cheaper. With an RMS of 2,000 Watts and peak power at 5,000, this is another competition sub guaranteed to make you the most hated person in your neighborhood. To put it simply, it’s really f***ing loud. Sorry, you can only emphasize something so much without swearing. This monster is power-hungry and a bit needy. It will require you to upgrade your alternator to 200-amp minimum, upgrade the big 3, as well as get an extra battery. Big power requires a little extra electric love, but you can trust that it will be worth your while for a sound so big, passersby will be able to see your car rattling all the way down the block. The biggest difference between this model of the Orion HCCA and the previous is the enhanced voice coil system. The black dual voice coils included in this model are some of the most sophisticated on the market, providing superior heat dissipation. The sub has dual 2-ohm coils, so you have a couple options for wiring. You can either wire it at 4 ohms or 1 ohm. A crucial factor to take into consideration is if you opt for the 4 ohms you’ll have to spend more on the amplifier to power it. The Orion HCCA 152 model is perfect if you want big power but don’t want to spend your life’s savings for it. If the Hooligan and JL Audio model were out of your price range, then this option would be much more reasonable. Aside from the specs described above, some additional features of this sub are its polypropylene cone woofer, the rubber tri-radius symmetrical surround and the dual flat conex spiders. This competition sub is top-notch for better affordability. If you’re looking for the highest quality competition subs, look no further. This model of the JL Audio competition subwoofers is among the best of the best, in terms of both power and quality. It was our top pick as the best 12 inch subwoofer of the year The SQ is key with this one. These subs are not as loud as the Hooligan but still certainly loud enough. The JL Audio is a solid choice, to say the least, if you’re looking for power and a refined sound. What it lacks in SPL—at least in comparison to other competition subwoofers—it makes up for in sound quality. With a peak power handling of 2,000 Watts, you can pump up the volume and still hear and feel the flow of your music with exceptional clarity. The sensitivity level is 86.2, which means it can amplify the sound more efficiently with any given amount of power. Sensitivity is crucial for competition-grade subs since they require more power than regular subs. The JL Audio has a massive, vented aluminum alloy frame to prevent overheating, so it can withstand more power without the system getting fried. The JL Audio sub comes in 3-ohm impedance and, as noted in the previous section, is lined with a sleek aluminum alloy frame. When it comes to installing this bad boy, be sure you actually know what you’re doing, so you don’t damage it. This sub is perfect if you want something that produces crisp quality sound but don’t want to compromise too much power for it. As far as competition subs go, it is on the lower end of the spectrum in terms of SPL. But if you value quality over power, this JL Audio model is perfect. Just a disclaimer, this sub is a bit on the pricey side, but you’ll definitely get your money’s worth. If you’re looking for power, the competition subs are for you. Whether you’re db Drag Racing or just want subs that’ll blow your hair back, this grade is it. A voice coil bigger than 2.5 inches. Cones made out composite, or any equally durable material. These factors are what enable competition car subwoofers to achieve staggering SPLs that a regular subwoofer cannot. Great power comes with compromise though. Some people feel that regular subs are better, if you value sound quality over sound power. The sound from a regular sub may inherently sound sharper because this sub cannot emit as much of that booming reverberant bass. The competition sub is more your style if you prioritize SPL over SQ. Another crucial variable to consider is the type of enclosure, or box. The two types of boxes are ported and closed. I won’t get too in depth with the details, but basically, if want maximum bass emission, ported is the way to go. Structurally, the biggest difference between the ported and closed boxes is the vent. The vent in the ported box increases bass output because of the way it interacts with the air trapped inside the enclosure. If you want a more refined, crisp sound the closed box is better. It uses the air trapped inside for shock absorption, allowing the box more control over the reverberation of the bass. Let’s get on to the real reason you are reading this article. You want to know what subs are so powerful, you won’t be able to see what’s in your rearview mirror—that’s how much it’ll be shaking. That concludes our list of the most badass competition car subwoofers on the market. Time to wrap it all up with a pretty bow on top. Here’s the quick n’ dirty lowdown on everything you just learned from our list. For the loudest sub, first place goes to The Hooligan, hands down. With an RMS of 4,000 Watts and peak power of 6,000, it’s absurdly loud. If you want to bump it at its peak, you may actually run the risk of having your eardrums explode. The viable runner up would be the NSV3 with its RMS of 2,500 Watts, peak power of 5,000 Watts and sensitivity of 84.27. This sub would definitely give you a hefty dose of bass. The award for this category goes to the JL Audio 12W7AE-3. If crisp clarity in sound is what you’re in for, this sub is perfect for you. Second place would once again go to the NSV3. This sub has exceptional SQ but isn’t quite in the same league as our first-place sub. The most affordable sub on the list is without a doubt the Power Acoustik MOFO 154-X. The price on this sub is outrageously low for everything it has to offer. Second place for this category goes to Skar Audio ZVX-12v2. Both of these are lower on the price range spectrum and of top-notch quality, so either way, you’ll get everything you want out of a sub without having to break the bank. So, these were the 7 best competition subwoofers of the year. With them, you are guaranteed to achieve massive sound pressure levels that will make you noticed everywhere. Got questions? I have answers! Leave a comment below and I'll get right into it. Sadly missed is the audiopipe txx bd3 15 and bd4 15 inch subs. For 200.00 a pop. 1200 real watts rms 2400 watt peak. Also, just a head’s up – you do NOT have to upgrade your electrical system for your subwoofer(s), you upgrade your electrical system due to the amplifiers that ACTUALLY POWER the subwoofer(s)… don’t get a “true” high powered amp, and you may THINK you’re pushing 2K+ watts but the amp may not even be pushing half of that. Ds18 hooligan is for spl. Spl competitions at that… spl subs play higher in the frequency range. However that still doesn’t mean you can’t put one in the right box tuned just how you like and get it low. So is this list just for speakers that Are sold as new for 2018? There a lot of custom SPL woofers ot there and some Woofer like the NVX VCW122 that are very loud. Is this about the manufacturer’s or just what you could get your hands on? I find thes test a joke because they don’t show what was tested just the top spots and that is not relevant to the text if there was just a few speakers tested.